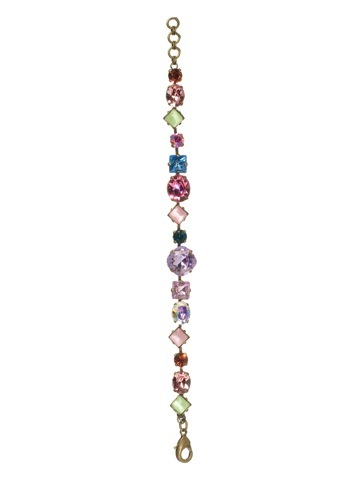 Make a statement with this bold multi-shaped crystal bracelet. Square and circular cut crystals alternately placed on a delicate antique band. Made to catch light, as well as attention.